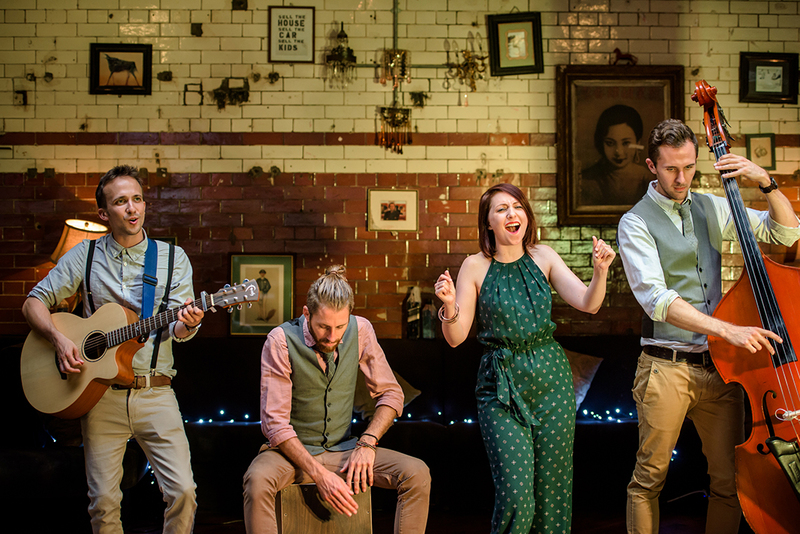 Rose Avenue are an exceptional 4 piece acoustic band. 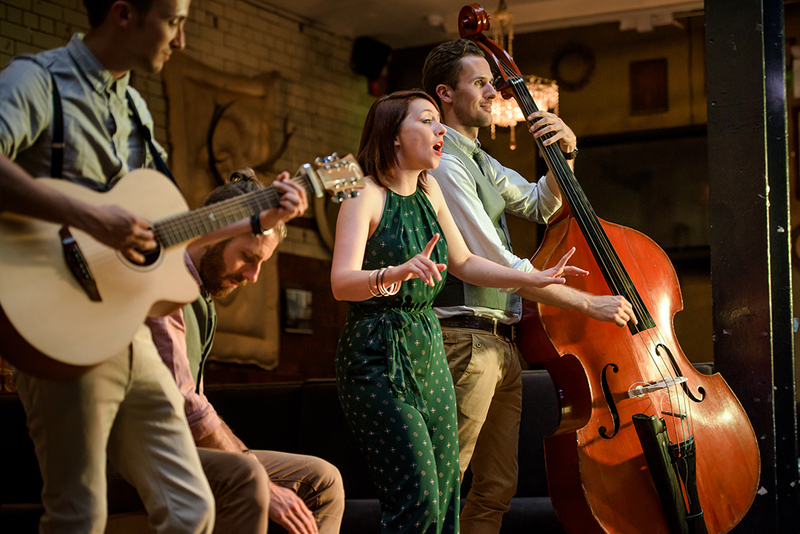 Featuring stunning female lead vocals backed by acoustic guitar, double bass and cajon played by musicians who each have over a decade of experience under their belts, Rose Avenue are an ideal choice to brighten any occasion. Their repertoire is full to the brim with feel-good hits that span decades and genres, all delivered in Rose Avenue's unmistakable pop folk style. After touring with bands all over the world, appearing on TV and working with the likes of Adele and Brian May, the members of Rose Avenue decided to pool their prodigious individual talents into one world-class line-up. 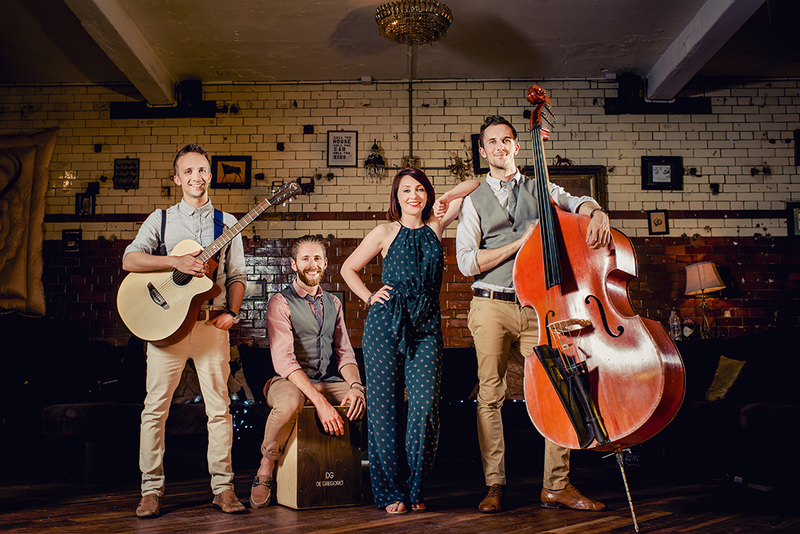 Based in South West London, Rose Avenue are experts in entertaining an audience, drawing upon their vast experience to give your guests exactly what they want and keep the dance floor heaving all night long. 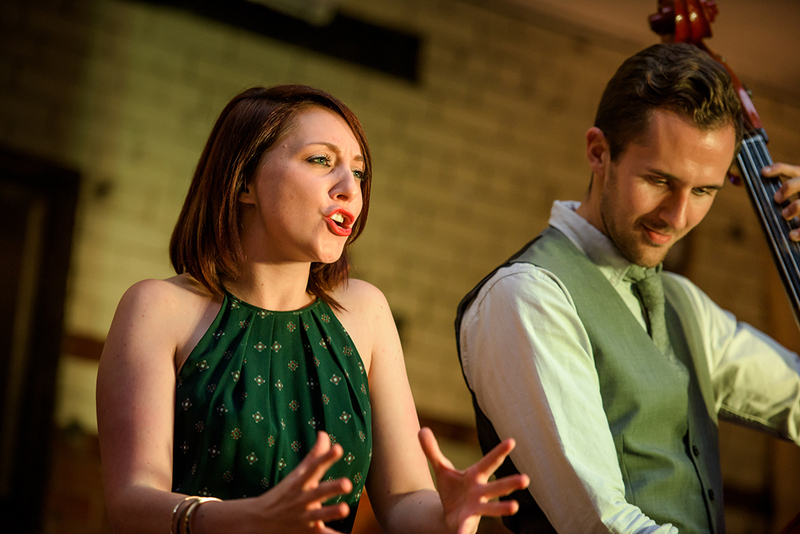 Not only are Rose Avenue outstanding musicians who give a stunning performance every time, they offer the flexibility to make sure you get exactly what you want from your event; whether you want an easy-going atmosphere or an uplifting party vibe. 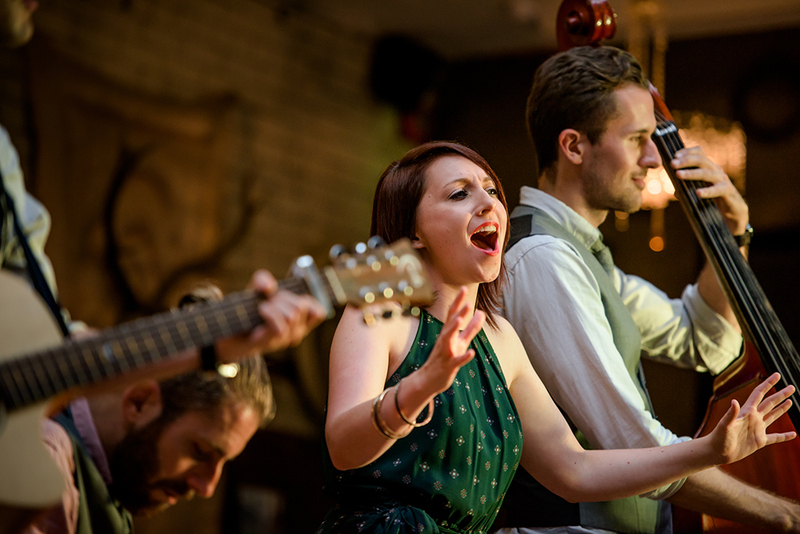 The options don't end at the set list: the band can perform as a 5 piece with the addition of a sax, and they also offer an extra acoustic duo set, an ideal way to entertain your guests during a drinks reception, over dinner or even as part of your wedding ceremony! To complete the all-round package, Rose Avenue will learn your first dance and offer a cross-faded DJ service. It should come as no surprise that Rose Avenue's schedule is jam-packed - don't delay and book today! We're the UK's most trusted agency for a reason: we make it simple, safe and secure to hire a band. With Entertainment Nation, you can find sublime live wedding entertainment, brilliantfunction bands uk or hire corporate entertainment. "The perfect match for our party. A warm feel-good acoustic performance. It was fantastic." "All of our guests have been raving about the music. It set the mood perfectly for our reception. Highly recommended." "Brilliant entertainment for my wife's birthday. You definitely know how to fill a dancefloor." "Absolutely fantastic from our first dance to the end of the night. Thank you so much! The band were great! The performances were spot on and they really made the effort to try and get people on the dancefloor." "By the end of the night the dance floor was rammed and the whole place was jumping! They even happily played the encore demanded by the crowd." 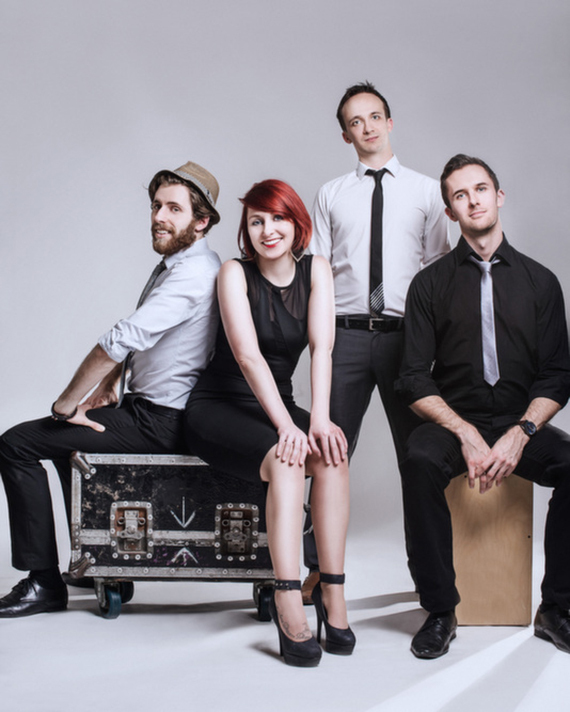 "Brilliant band, very friendly and helpful. I wouldn't hesitate in recommending them!" "You guys were stars and made Sophie's party a hit. We even got asked by our neighbours down the road where you came from as they are looking to have a similar party next year."